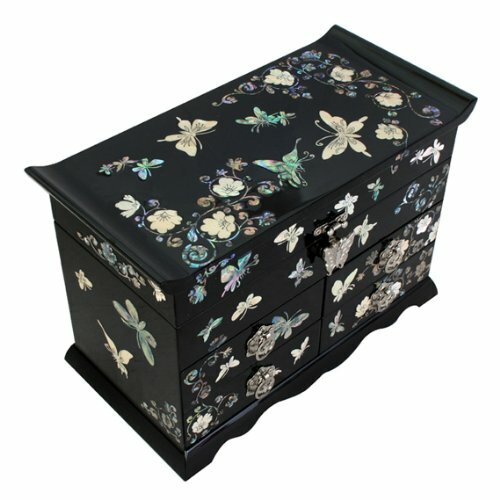 This wooden jewelry paper box is elegantly decorated with mother of pearl design of freely flying butterflies representing free love and happiness, and fully bloomed arabesque blossoms and rhythmic lines and whorls of the vines wrought by the intricate mother of pearl inlaying technique. If you have any questions about this product by Antique Alive Jewelry Box, contact us by completing and submitting the form below. If you are looking for a specif part number, please include it with your message.